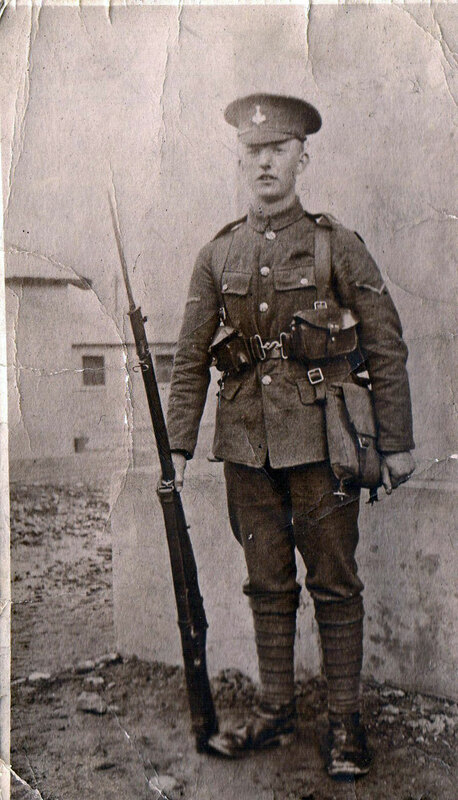 Enlisted July 1916, Service No 5784. Fought at the Battle of the Lys, and was wounded on 10 April 1918. He was captured and interned at Limburg POW camp, where a leg was amputated. He was discharged form the Army on 23 May 1919 (Silver War Badge). Note : The photo of Percy Garner shows him to be wearing the stripes of a Lance Corporal. It is possible he may have been an acting Lance Corporal.